Dark peppered moth. Image by Jerzy Strzelecki via Wikimedia Commons. RS Edleston was an English naturalist who studied insects in the 1800s. In 1848 he recorded an unusual discovery in his journal. “Today I caught an almost totally black form of Biston betularia (peppered moth) near the centre of Manchester.” This is the first recorded sighting of a dark peppered moth. What was rare in 1848 became common over the next fifty years. By 1900, the peppered moth populations in areas around English cities were as much as 98% dark moths. Scientists became curious why this was happening. During that time, England was experiencing what is known as the Industrial Revolution. Factories were being built, and they ran by burning coal for fuel. The result was a dark smoke that covered the surrounding countryside. Trees that had been light and covered by lichens now were dark and bare. This clearly was having some impact on the moths. Scientists began to try to find out why. Some thought the adults were changing their colors the same way the larvae could match the color of the twigs. Others thought the chemicals in the smoke darkened the moths. Finally it was found that the color was genetic. Moths passed their color to the next generation. Eggs from light moths developed into light moths and dark moth eggs turned to dark adults. The dark color was caused by a mutation in the DNA of a single moth, and the mutated gene had been passed to all its offspring. This explained why the moths were dark, but not why the dark moths were taking over. Did the dark moths have an advantage in the dark forests? If so, the change in the moths was a result of natural selection. Natural selection was proposed by Charles Darwin to explain how new species evolve. All types of living things have small differences between the individuals in the species. If one of those differences allows the individual to live longer, they will likely have more offspring. As that trait is passed on, the population starts to look more like the successful individual. Over time, the species changes. Oil processing plant in Estonia. Image by hannu via Wikimedia Commons. In 1896, J. W. Tutt suggested that the peppered moths were an example of natural selection. He recognized that the camouflage of the light moth no longer worked in the dark forest. Dark moths live longer in a dark forest, so they had more time to breed. All living things respond to natural selection. Over 100 other species of moth were observed to darken over time in polluted forests. Scientists call this effect industrial melanism. Natural selection is still at work in the peppered moth. 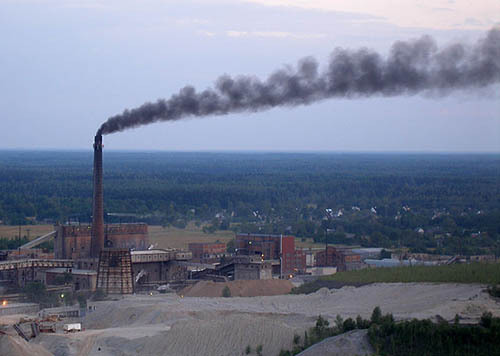 In the last 50 years, most industrial countries have significantly reduced their pollution. 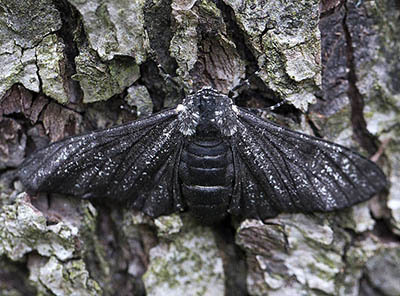 As predicted by the theory, the number of dark moths are dropping as the forests become cleaner. Natural selection in peppered moths has been extensively studied. To find out how, continue reading onto Dr. Kettlewell’ experiments.